Trainer Brett Cavanough will test 2yo filly Longbottom in city class before deciding her target. Scone filly Longbottom will be in charge of her own destiny when she is tested in city class at Eagle Farm. 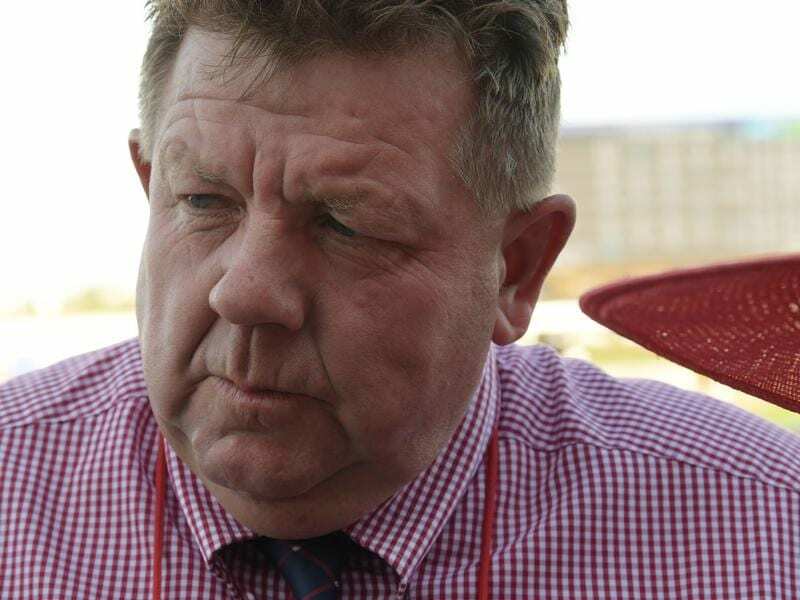 Trainer Brett Cavanough has several two-year-olds in mind for the Brisbane carnival this winter and Longbottom will give him an idea of how they will fare when she tackles Saturday’s 2YO Fillies race (1000m). Longbottom is by Sidestep, sire of the recent Golden Slipper winner Kiamichi, and was bought at the Scone Yearling Sale to be raced by staff at the Kitchwin Hills farm. She was $21 on debut when she beat the Bjorn Baker-trained Brazen Gem in the Starmaker Handicap at Scone three weeks ago. Brazen Gem has also been accepted for Saturday’s race but drew the outside barrier while Longbottom has two. Cavanough said the original plan had been to aim Longbottom at the $100,000 Scone Two-Year-Old next month. “She is a nice sensible filly and she did win well the on a wet track,” Cavanough said. “We thought we would send her to Brisbane to see if she might make a stakes horse. Getting black-type for a filly is always a priority. Cavanough has booked leading Gold Coast jockey Ryan Maloney who he hopes can give him a good assessment of Longbottom’s ability. Gillian Heinrich will have her first runner since dissolving her training partnership with Ben Rodgers when Euro Belle runs in the race. Rodgers will continue to work for Heinrich but be free to pursue other interests.